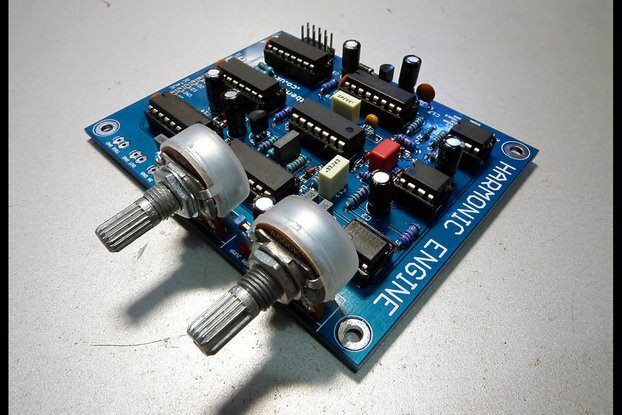 Maplin Voice Vandal clone PCB - 10 bit delay & high frequency audio chopper based distortion. Standalone or modular. 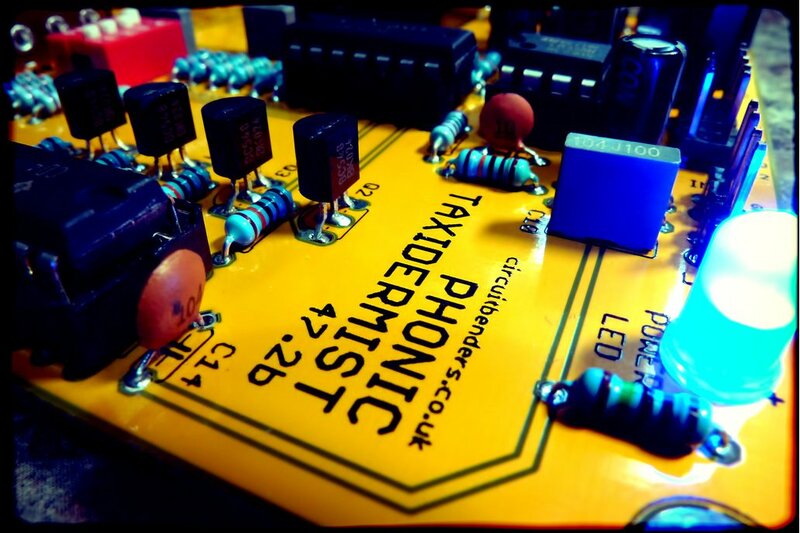 The Phonic Taxidermist 47.2b is a clone of the Maplin Voice Vandal. This was a kit that was available from Maplins electronics (an electronics chain in the UK similar to Radio Shack) throughout much of the 1990's. Back in the day you would often see the Voice Vandal on the kit lists of electronic bands such as Fluke and Underworld, along with Add N to X, Autechre and many artists recording for Warp Records. These days it is extremely rare that you'll see one for sale, and when they do turn up they tend to sell for stupid money. 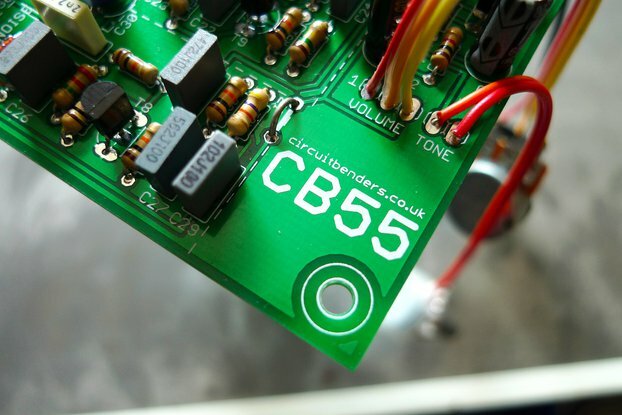 The circuit consists of two main parts, a grungy 10 bit digital delay based around a HT8955A 'Voice Echo' chip, and a high speed audio chopper that strobes incoming audio on and off at four separate frequency bands. Each frequency band can be activated individually or simultaneously with others, and the overall rate of the chopping effect is controlled by the frequency knob. 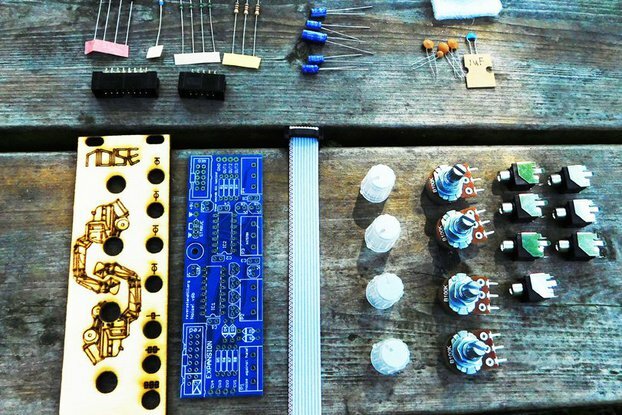 The chopping circuit produces effects that sounds similar to a kind of nasty cross modulation or filthy frequency based distortion. 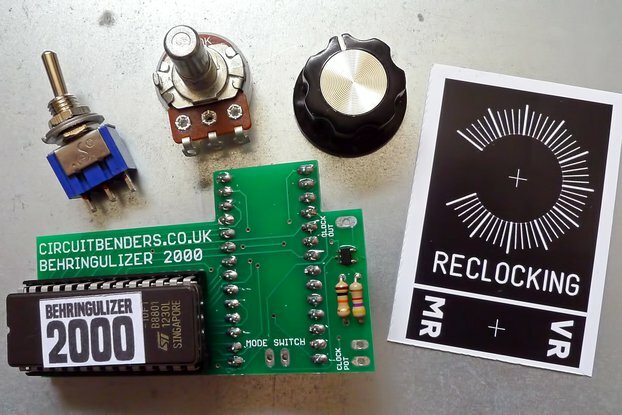 It can be used to produce unearthly 'Radiophonic Workshop' type tones from pitched sounds, similar to what you might hear on Forbidden Planet, or an old episode of Dr Who. Percussive sounds can be hideously mangled in a manner not unlike a ring modulator thats actually useful, instead of just being that weird effect you mess around with every now and then but never actually use on anything! Its also very useful for emulating that weird crunchy aliasing noise ringing effect you get on very low bit rate samples. According to the original Voice Vandal promotional material 'You can now imitate The Daleks, Chewbakka, et al, without straining your voice', and yes, they do spell it as Chewbakka. Obviously even Maplin were somewhat wary of the notoriously litigious George Lucas! The board measures 100mm wide by 92mm deep, with the four pots mounted on the front 100mm edge. 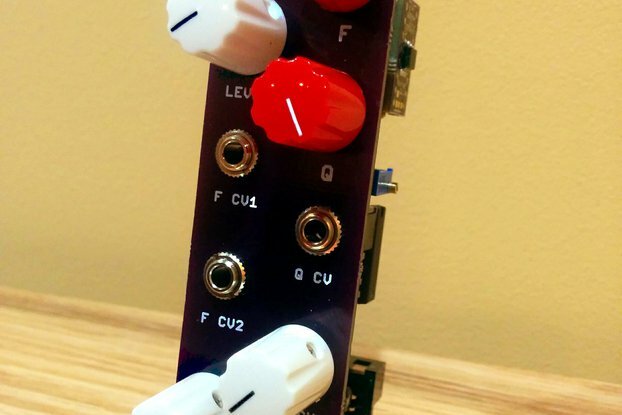 This should easily fit in a eurorack module, unless you have a very shallow case. The pots could easily be mounted away from the board in something like a pedal if you prefer. 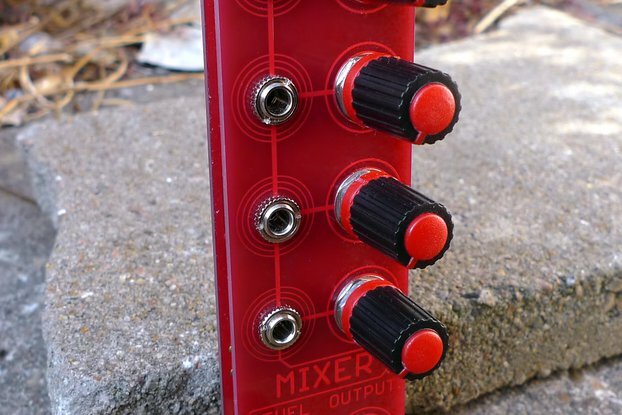 On the back edge theres separate mic and line level inputs and outputs, along with a space for an optional eurorack 10 pin power connector. You will probably want to bring the four switches for the individual frequency bands out to a front panel as well. You can download the build guide and parts list from the link below. 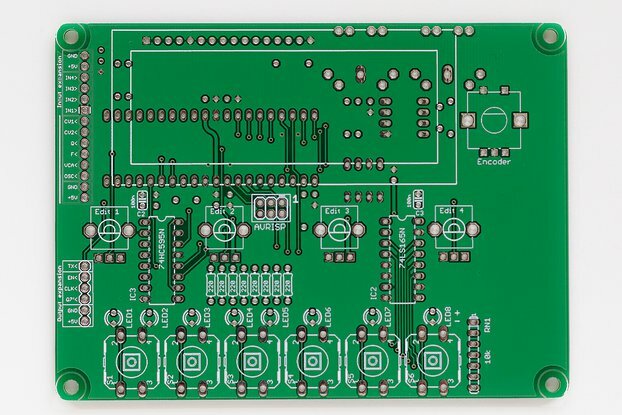 THIS IS JUST FOR THE BARE PCB. 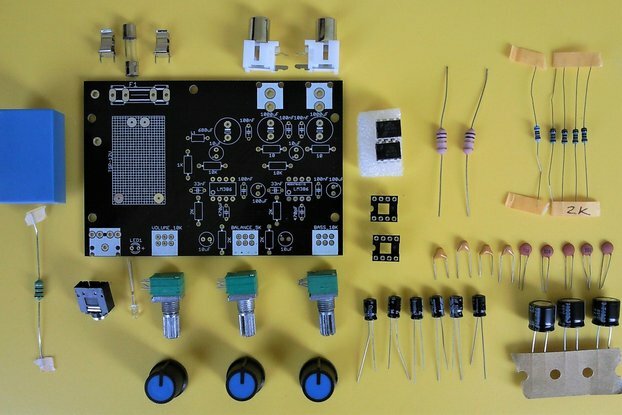 We do not sell full component kits for this build. 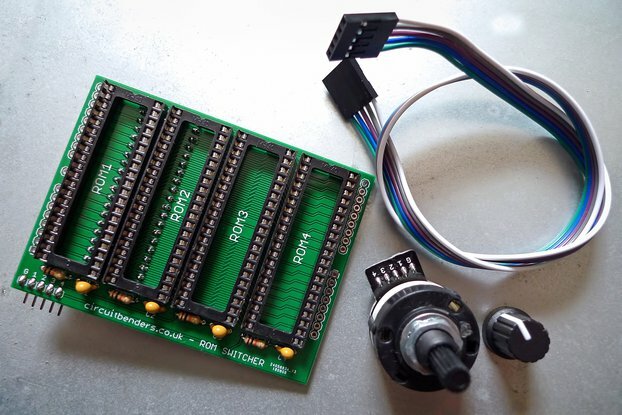 All the parts are easy to get hold of, apart from the HT8955A and its associated RAM chip. These can probably be bought insanely overpriced from somewhere like ebay locally, or a whole lot cheaper via a Chinese source if you want to wait a while. You can watch demo videos of this board via the youtube links below below. The first shows the board built into a desktop case, and the second is the first prototype board.